Read this blog to find out all about taxation in mutual funds. 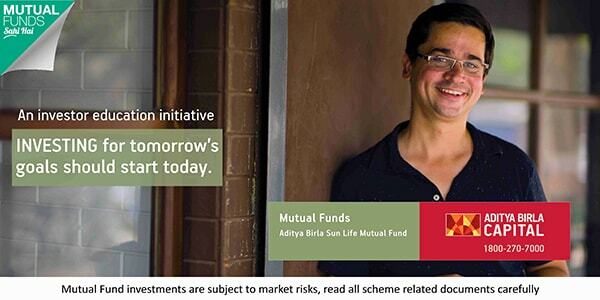 The mutual fund is an investment avenue where you buy and hold units upon which you earn returns over time. Precisely, the profits could be earned in the form of capital gains (increase in the value of the investment) and/or in the form of a dividend. Like other income, either form of returns on mutual funds is also levied taxes as per the rules of Income Tax. The mutual fund is counted as one of the capital assets, for it is covered in the definition of capital assets under the Income Tax Act, Section 2(14) of IT act which defines capital assets as any property of an assessee whether or not linked to his/her professional or business. So, the capital gain on the disposal of such capital assets is taxed according to the capital gain tax rules and regulations. Today, in this write-up, the entire process of taxation on mutual funds has been discussed thoroughly. So without any delay, let’s begin! The mutual fund is a special kind of investment tool which is linked explicitly with equity and debt market. Furthermore, the perspective of holding investment varies from investor to investor. Therefore, these two major factors decide the tax status of mutual funds that any individual has to pay. In a broader sense, an individual invest in mutual funds with the objective to hold it either for a short term or long term aiming wealth creation, and these funds are subject to different tax implications. However, the definition of a short term and long term holding period is different for equity and debt mutual funds. The table mentioned below explains the holding periods for the different class of mutual funds. As you must have understood all about the holding period, it’s time to learn about tax calculation of different asset classes according to the short-term capital and long-term holding period. Case 1. If an investor has invested Rs. 200,000 in an equity scheme as on 1st January 2016. Now, if the growth value of Rs. 220,000 is redeemed on 7th December 2016, then how will he be taxed? Solution: As the investment holding period is below 1 year, therefore, STCG at 15% will be applicable. Having said that, the investor is liable to pay 15% of Rs. (220,000-200,000) = Rs. 3000 as the tax. Case 2. Assuming the same situation, if the investor has redeemed his investment’s growth value of Rs. 225,000 on 15th January 2017, then how will be the tax treatment? Solution: As the investment holding period is above 1 year, therefore it’s subject to LTCG tax implication. Here, as the gain amount is Rs. (225,000-220,000) = Rs. 25,000 that is below INR 1 Lakh, therefore, no tax liability arises. Case 1. Assuming the same situation, if investor has redeemed his growth value of Rs. 350,000 on 15th December 2018, then what will be the tax levied? Solution: As the investment holding period is above 1 year, therefore, the capital gain is (Rs. 350,000-200,000) = Rs. 150,000 below INR 1 Lakh. Investor’s LTCG tax liability would be 10%, i.e., of Rs. (150,000-100,000) = Rs. 5,000. ELSSs (Equity Linked Savings Schemes) are the tax saving schemes under section 80C of the Income Tax Act, 1961. There are several top ELSS funds that one can prefer investing in to save tax and build wealth at the same time. They are diversified plans which invest in equities and related instruments across the market caps. They have a statutory lock-in period of 3 years, offer a facility to claim a tax deduction of up to Rs 1.5 Lakh and save an amount up to Rs 46,350. Here, it is to be clarified that in case of SIP investment, every SIP will be locked-in for 3-years. As the investment is locked-in for 3-years, therefore ELSS are only subject to long-term capital gain taxes that is same as of other equity-oriented mutual funds. It means that on redemption after 3 years, the long-term capital gain (LTCG) up to Rs 1 Lakh is tax exempted and the excess is taxed at 10%. Long-term capital gains on the debt mutual funds are taxed at the rate of 20% with the indexation benefits. However, the short-term capital gains (STCG) earned on the debt funds are added to the investor’s income, and taxed according to the individual’s income tax bracket. Here, indexation is a method of factoring in the rise in inflation between the years when the debt mutual fund units were bought and sold. It allows inflating the purchase cost of debt funds in order to bring down the quantum of capital gain significantly. Case 1: If an investor had invested Rs. 100,000 in a debt mutual fund as on 15th June 2014. How his gains will be taxed if the money worth Rs. 180,000 is redeemed as on 5th July 2016. Solution: As the holding period is below 3 years, therefore the quantum of gain worth Rs. 80,000 will be added to individual’s income and taxed according to his tax bracket. Case 2: Assuming the same situation, if the capital worth Rs. 250,000 is redeemed as on 28th December 2017. Cost Inflation Index for FY 2017-18 is Rs. 1172 and for 2014-15, it is Rs. 939. As per SEBI’s rationalization and categorization mandate, aggressive hybrid funds can have 65%-80% equity exposure and the rest 20%-35% can be in debt instruments. At any point in time, such funds must have at least 65% exposure in equity, henceforth, these funds are taxed exactly as equity-oriented mutual funds. Conservative hybrid funds are those where equity exposure may vary from 10% to 25% and debt exposure can range in between 75%-90% of the total assets. Thus, these mutual funds are taxed exactly as of debt mutual funds. If held for a period below 3 years, then short-term capital gain is added to the individual’s income and taxed as per income tax slab. On the other side, if the holding period is 3 years or above, then long-term capital gain is levied at 20% along with indexation benefits. As per SEBI’s mandate, balance hybrid funds must have 40%-60% equity exposure and 40%-60% debt exposure. At any point in time, these funds cannot invest more than 60% in equity and its related instruments, therefore such funds are similarly taxed as debt funds. Through Systematic Investment Plans, a fixed amount is invested in a mutual fund scheme periodically, i.e., monthly, quarterly, bi-annually. The capital gains from any mutual fund scheme are taxed as per the type of mutual fund and the holding period. For the purpose of taxation, each SIP is treated as a fresh investment, and therefore the gains accrued from it are taxed separately. Let’s consider an example to understand it much clearly. Suppose an investor started a SIP with Rs 10,000 per month in an equity mutual fund one year and after 12 months, he decided to redeem accumulated corpus entirely, all the gains made will not be tax-free(like 1 lac exempted in LTCG). Only the gains earned on your first SIP investment will be LTCG and gain amount up to 1 lac will be tax-free because only that one investment has completed the cycle of one year. The rest of the capital gains would be subject to STCG tax because SIP installments paid later on has not completed 1 year. The dividend earned on equity mutual funds is taxed at 10 percent, whereas, in the case of non-equity mutual funds, the Dividend Distribution Tax rate is 28.84 percent. Whenever an AMC declares and pays the dividend, then AMCs are mandatory liable to pay Dividend Distribution Tax. As the company has already paid taxes and the remaining earnings are distributed among investors as the dividend, therefore investors are not obliged to pay any tax on dividend income. No TDS (Tax Deducted at Source) applies to mutual fund capital gains or dividends except for NRIs. This brings us to the second factor which determines the tax status in mutual funds, i.e., the residential status. Tax implication for NRIs is the same as that of the Indian residents. There is only a difference that is TDS. NRIs have to pay TDS at 15% for STCG and 10% for LTCG on equity funds. On the other side, in case of debt funds, 30% and 20% rate is applicable on STCG and LTCG, respectively. When any investor sells the mutual fund units, he or she is levied with Securities Transaction Tax (STT) on equity and aggressive hybrid equity funds. This is deducted at a rate of 0.001 percent, and one doesn’t have to pay it separately. This was all about taxation in mutual funds. It can be concluded that the longer an investor holds the mutual fund units, the more tax-efficient it becomes as the tax on long-term gains is much lesser as compared to short-term capital gains. We hope you are clear with the concept of taxation in mutual funds. If you still have a query concerning this, connect our experts via email or call. You can even write us down your query concerning regular mutual funds in the form provided below.